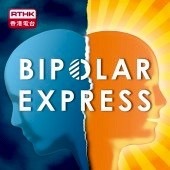 Check out the amazing artwork by Bipolar HK’s Resident Artist Charlotte Farhan! Charlotte and Bipolar HK founder Sadie Kaye co-founded non-profit Art Saves Lives International in 2016. They have since worked together as author-illustrator on children’s book The Wishing Machine and are working together on two new book projects. Charlotte will also appear as a guest in Sadie’s 2018 documentary As Bad As It Gets for RTHK. The non-profit arts initiative has quickly grown and now has its own monthly magazine. To be part of the conversation and get involved/ support ASLI’s/ Charlotte’s work, click on the links below!